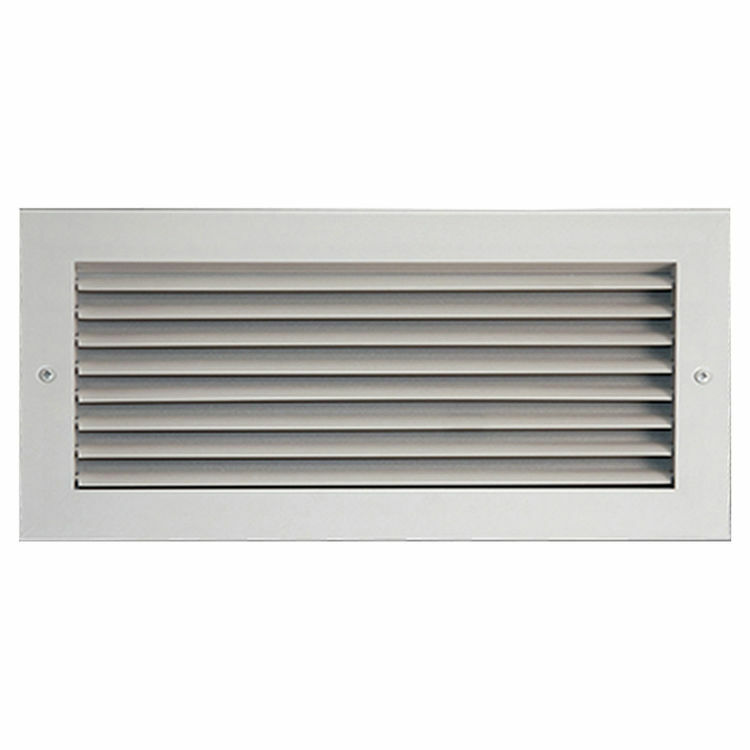 The shoemaker 12"x26" Aluminum Airfoil Horizontal Fixed Blade Grille is designed to fit and cover a 12" tall by 26" wide opening.  Shoemaker has a complete line of products designed for homes, offices, stores, and even restaurants. You can find Shoemaker almost anywhere that uses a forced air system to control the temperature of the environment. This type has a 4-way aluminum air diffuser. 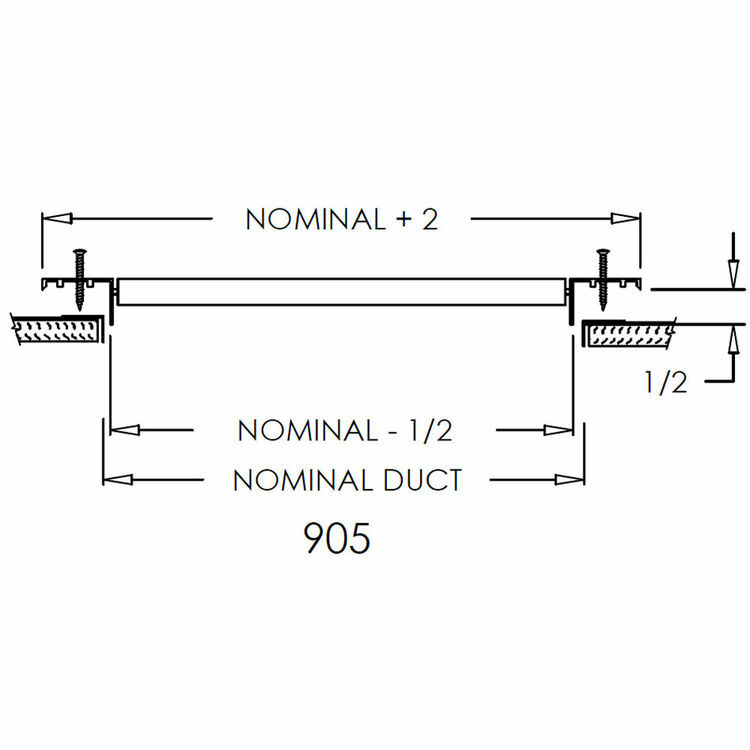 It is designed for ceiling or sidewall applications and features countersunk holes for a flush appearance. It is made of extruded aluminum to provide rigidity and durability. It features 180 degrees of air dispersion, thanks to the adjustable airfoil blades and lever operation. It is constructed with extruded aluminum for increased rigidity and durability. 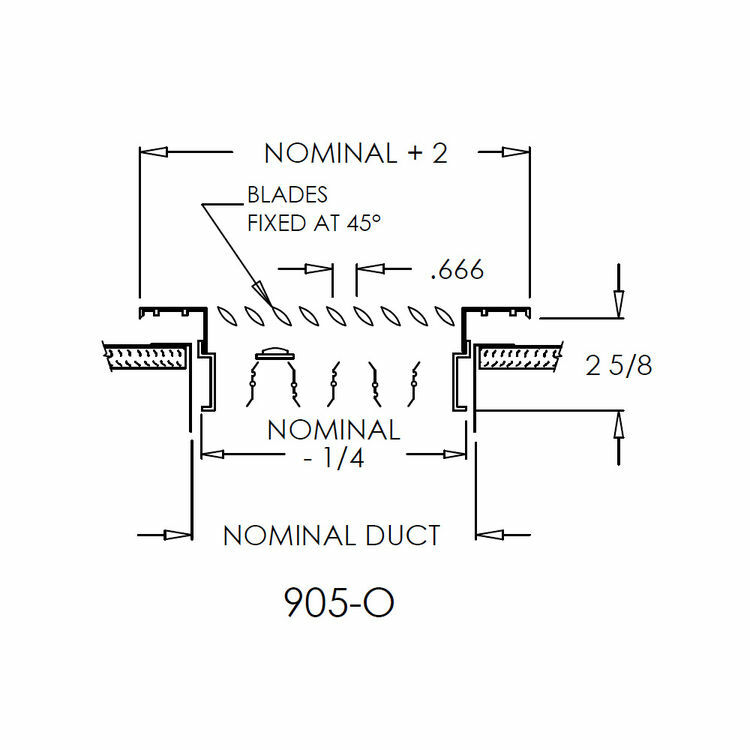 Opposed blade louvers that run parallel to the shortest dimension efficiently deflect airflow and help to conceal the duct-work from view. This product is available in Standard Color, Designer Color and Satin Anodized Finish. The Shoemaker 905 Aluminum Airfoil Fixed Blade Grille has heavy duty tamper-proof screws for added security. Whatever the type of application, tamper-proof products provide a high level of safety and security. 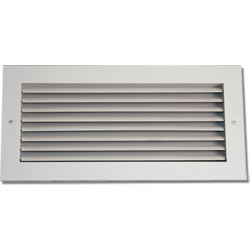 The Shoemaker 905 Series Aluminum Airfoil Blade Grille features an insect screen protector that keeps out bugs and dust without blocking fresh airflow. 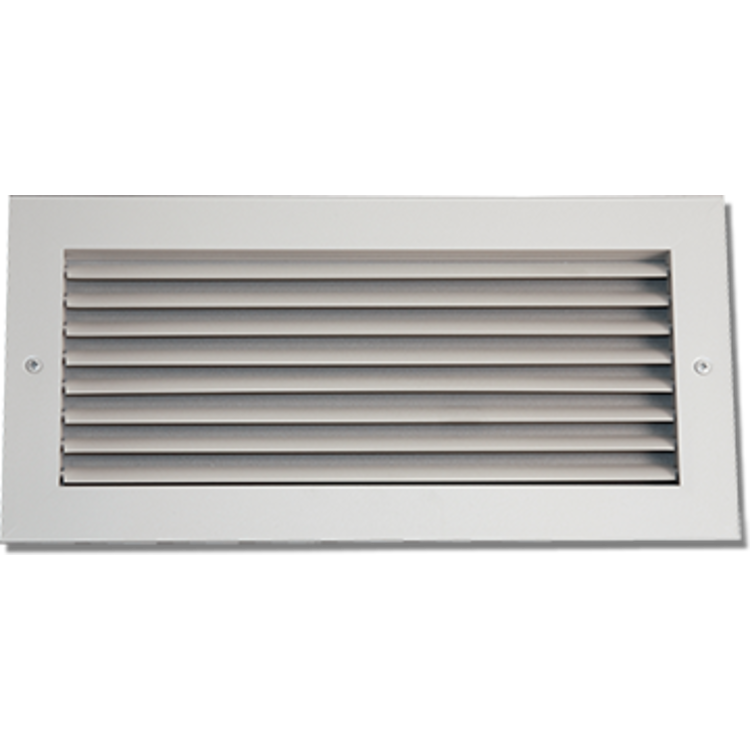 The quality and simplicity of the Shoemaker 905- 12"x26" Aluminum Airfoil Horizontal Fixed Blade Grille are only two of the many reasons why Shoemaker Manufacturing leads the field in innovative air-grille design and real world applications.